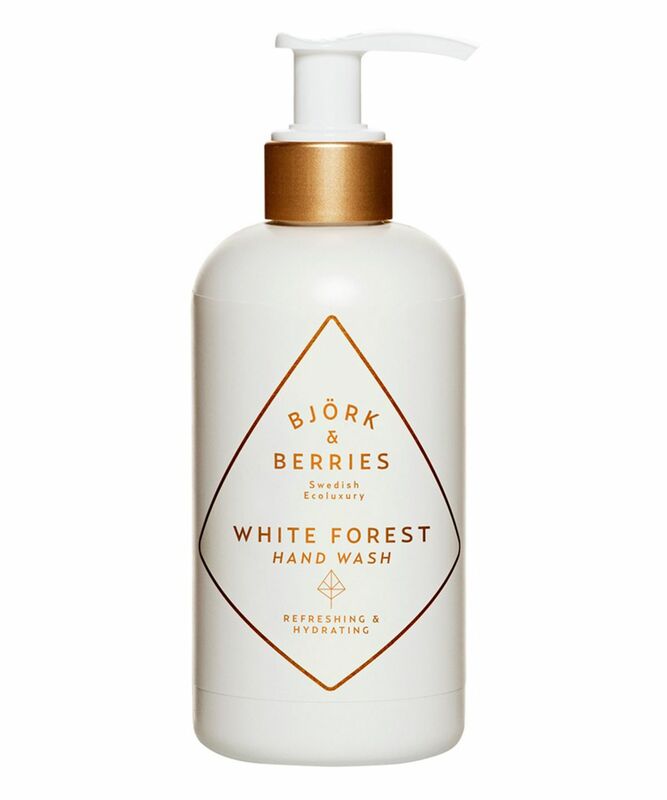 Marrying sustainability with luxury, Bjork & Berries’ body care evokes the essence of Scandinavia – minimalism, efficacy and aestheticism. Their ‘White Forest’ fragrance is inspired by fresh forest air – clean, green and beautifully ‘bracing’. A unisex blend of wood and pine, the star ingredient is organic birch extract – lauded for its skin-firming and fortifying properties – as well as its subtly sensuous scent. 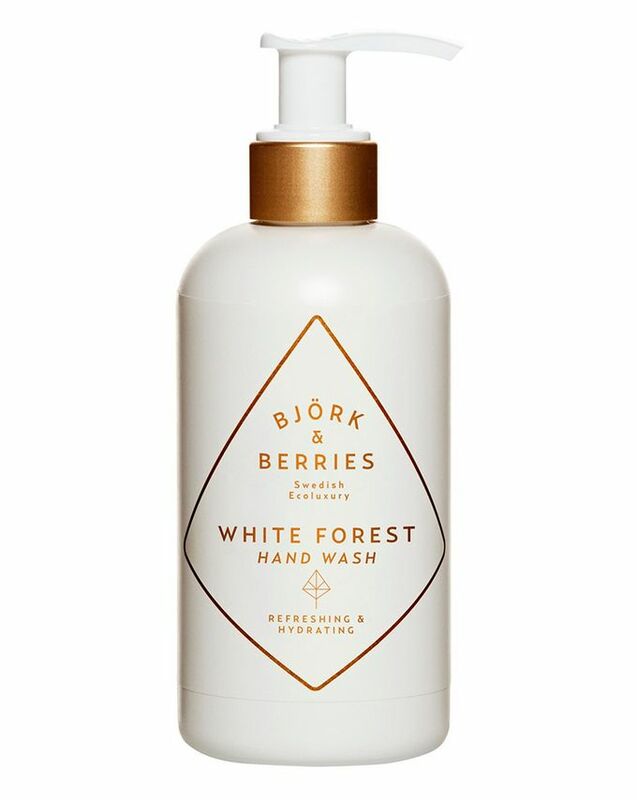 Bjork & Berries’ White Forest Hand Wash gently cleanses and hydrates your hands whilst maintaining skin’s pH balance. Rich in vitamins derived from organic birch extracts, this indulgent cleanser has natural, skin-strengthening and elasticising properties to keep things nice and supple, while the nourishing formula maintains moisture levels to help prevent chapping and keep hands hydrated. A little goes a long way (this lathers beautifully), and the chic, white and gold packaging makes a beautiful addition to a Scandi-style kitchen or bathroom. Dispense a small amount into damp hands and massage to create a cleansing lather. This hand wash is totally irresistible! Wonderful scent!